We at Unemployment Solutions for You proudly offer our unemployment claims management services across the United States. We are a leader in our industry not only because we offer an outstanding product, but also because we have a deep knowledge-base in the many differing unemployment laws across the 50 states. Part of our mission is to also educate you about how these laws may differ from state to state because they can affect you directly. So, join us on our continuing series, in which we explore the differences in unemployment eligibility, tax rate ranges, base periods, and much more in each state. This month, in Your State’s Unemployment Tax Laws, we’ll be looking at Washington. Typically, under the Federal Unemployment Tax Act (FUTA), for-profit employers are liable for both state and federal unemployment insurance taxes if they have paid employees $1,500 or more in total wages in a calendar quarter or had at least one employee during any day of a week during 20 weeks in a calendar year, regardless of whether or not the weeks were consecutive. However, in the state of Washington, there is no minimum amount of wages required for employers to pay unemployment taxes each year. Instead, employers are held liable for unemployment insurance taxes simply for employing a single individual. If a claimant is found to be eligible for unemployment benefits, a Taxable Wage Base amount must be multiplied by an annual unemployment tax rate to determine the amount of an employer’s UI tax liability. First, we’ll discuss the state’s Taxable Wage Base. In Washington, the Taxable Wage Base amount changes annually based on the state’s average annual wage two years prior. For example, the Taxable Wage Base for 2017 is based on the average annual wage paid in 2015. In recent years, the Washington Taxable Wage Base has been in excess of $42,000, and for 2017, it has been set at $45,000. Once the Taxable Wage Base has been calculated, you need to understand your UI tax rate. In Washington, there are two components to calculating this rate: The Experience-Based Tax and the Social Cost Tax. The Experience-Based Tax is calculated from the amount of unemployment benefits issued to a business’ former employees over the past four years. Depending on an employer’s past experience, there are 40 experience rate classes you may be moved into. If you are a new employer, you wouldn’t have gained sufficient “experience” to receive a personalized tax rate. Instead, you receive a rate that is based on the average UI tax rate from your industry according to the North American Industry Classification System (NAICS). In 2017, new Washington employers will pay 90 percent of the average rate for the businesses in their industry. As for the Social Cost Tax, it covers the unemployment costs that are unable to be recovered from a specific business (often due to employees who have lost work as a result of a company that has gone out of business). All Washington employers share the Social Cost Tax. As a result of Washington’s method for calculating an employer’s UI tax rate, it can vary widely between industries. However, a table has been provided below to demonstrate the average Washington UI tax rates in recent years. If a UI tax payment becomes late, employers are charged with an interest rate of one percent total taxes due per month it is overdue. Additionally, you may be charged with a late payment at 5 percent of the total tax due or $10 (whichever is greater) for the first month past due, and an additional 5 percent of the total tax due for the second month. On the third month past due, you may be assessed an additional 10 percent of the total tax past due. 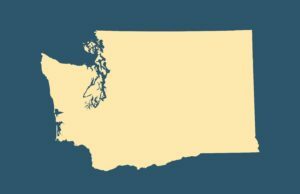 For more information, Employer Security Department Washington State (ESDWA) offers online resources outlining employer UI tax liabilities and penalties. Of course, there are resources available to employers that will ensure that these processes are properly managed and that no employer will need to pay forfeitures for a missed Tax Return deadline. Unemployment Solutions for You is dedicated to assisting you in achieving your best possible unemployment tax rate, as well as in managing your unemployment claims. For more information, please give us a call toll free at 800-928-5750.